Me fan of herbal products have got new Face Cleanser from Omved. 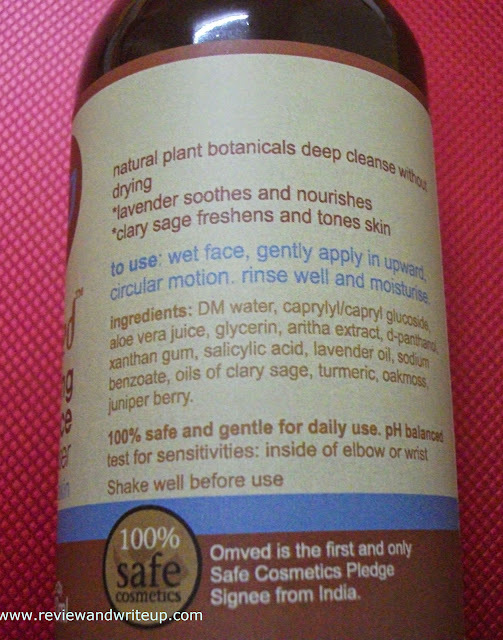 As name suggests brand Omved follows a simple mantra 100% natural. Brand's products heritage go back over 5,000 years to our ancient vedic civilization of India. About the Product - Omved brand offers wide range of skin care, hair care products for both men and women. 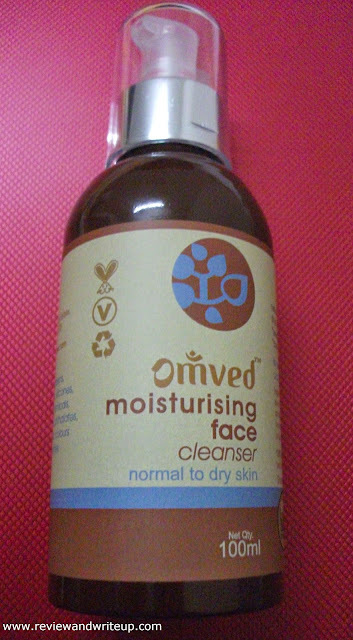 I got Omved Moisturising Face Cleanser for myself. I have been using this face wash from last one week. Packaging - Omved Face Cleanser comes in a food grade safe aluminium which has attractive cap and a nice pump attached to it. This kind of packaging keeps the formulation safe from sunlight and toxic leaching from plastic. Omved don't use plastic for packaging. The packaging is very unique which will make it stand out. Bottle does resemble to any medicinal syrup bottle but when you see shining silver & white color pump attached you will change your opinion. The pump is protected with transparent plastic long cap. Best thing is that if you keep it on your washbasin you don't have to worry that it will fell down, as normally tube face wash fell down easily as quantity reduces. Usage - Wet your face, apply it gently in upward circular motion, rinse well and moisturize. Claims of brand - Omved cleanser has natural plant botanicals which deeply cleanses the skin without drying. Lavender in it soothes and nourishes. Clary sage freshens and tones skin. My Experience With the Product - By its usage it seems like a face wash. Its different from face wash as it not only cleanses the skin but also moisturizes it. This cleanser is recommended for normal to dry skin and my skin is oily. I still used it on my face. Reason whole day I have to sit in air conditioner which makes my skin really dry due to which I have to apply cream and I prefer to use very light cream in summers. If I am using this cleanser I don't feel need to moisturize my skin at all. I just apply sunscreen if i need to step out and leave. Omved cleanser looks like a gel so if you squeeze out on your palm it doesn't flow downwards. I normally take three pumps on my palm and apply in circular motion on my wet face. 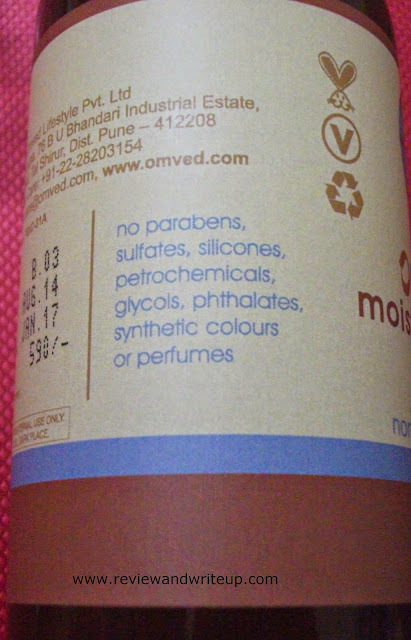 Omved cleanser is free of parabens, sulfates, silicones, petrochemials so it doesn't lather much. It gets washes away in two splash of water and leaves skin soft and moisturized. You will feel that you have applied cream/moisturizer after washing your face. This cleanser is definitely for normal to dry skin people. For oily skin I will say if you have to sit in AC use it as it won't dry out your skin. During winters this is going to be my pet face cleanser. It has very herbal smell which I really like it. 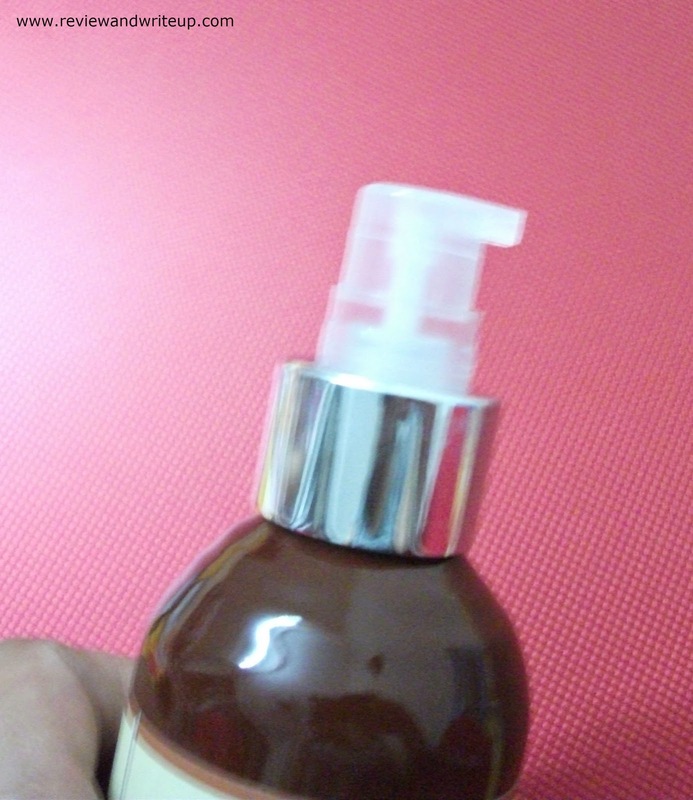 This product is like wholesome package for cleaning, moisturizing and toning the skin. Packaging is travel friendly with no feal of spillage.